A warm and comforting sweet perfume with base notes of patchouli and vanilla. Vanilla blossom organic perfume roll on is a 100% natural fragrance with essential oils of Peru balsam and patchouli to create a sense of comfort and reassurance. The roll on size is perfect for travel and slipping in your handbag. 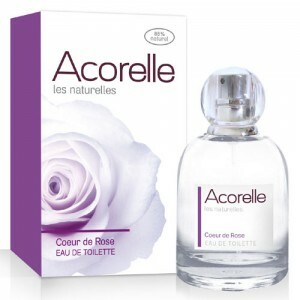 All of the Acorelle Eau de Parfum range are 100% natural. They are composed of wheat alcohol, organic essential oils with active properties, and floral waters 100% organic and adapted to each fragrance. Guaranteed to be free of phthalates, nitromusks and colouring & not tested on animals. Acorelle is one of France's biggest producers of natural and certified organic beauty products. The range includes natural perfumes, skin care, body care, epilation and baby care products. Acorelle natural perfumes and body mists are based on olfactotherapy – the science behind natural fragrance molecules that enhance mood. Experience a soothing, energising, or balancing positive effect on your mind and body. 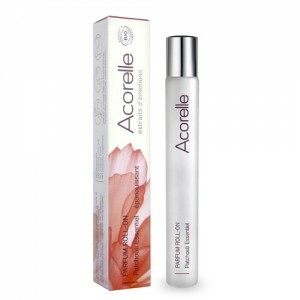 Acorelle natural perfumes make you feel good and are a treat for the senses. ALCOHOL**, CENTAUREA CYANUS WATER*, PARFUM, BENZYL ALCOHOL, BENZYL BENZOATE, BENZYL CINNAMATE, CINNAMYL ALCOHOL. *ingredients from Organic Farming **Made using organic ingredients 100% of the total ingredients are of natural origin. 90% of the total ingredients are from organic farming. For best effect gently massage on your energy / pulse points. Guaranteed free from phthalates, nitromusks and colouring.